C. Dod Landscaping, Inc can turn your yard into something you have only seen in the pages of a magazine! We Offer A 5 Year Warranty! 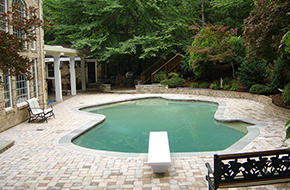 At C. Dod Landscaping, Inc of Vienna, VA, we have been turning pools into the star feature of homes for years. While you may be able to swim in a pool.. Choose C. Dod Landscaping, Inc to turn your yard into your own private oasis at prices you can afford! Have you heard of hardscaping? If you have not, you are not alone. Hardscaping is a landscaping term that too few people know. Hardscaping is the addition of elements like retaining walls, fire pits, stonewalls, and pavers to landscape design. At C. Dod Landscaping, Inc, we are experts in hardscaping. We offer a 5-year warranty on our workmanship. This is one of the best warranties in the business. When you are ready to turn your Vienna, VA lawn from boring to beautiful, you can trust that our landscaping and hardscaping services are exactly what you are looking for. 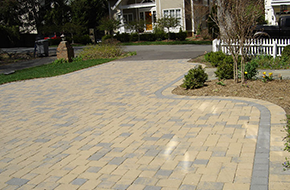 From the moment that we lay the first patio paver to the moment we lay the last, you are our priority. We do not consider a job complete until you are 100% satisfied with our work. 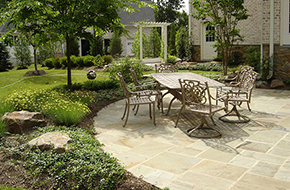 Our landscape design team is committed to providing you with exceptional service. Whether you want to install new plants on your property or are in need of a bit of privacy, we can help! Our experience and professional landscape design team can work with your ideas to make your yard match your vision. If you are ready to get started, give C. Dod Landscaping, Inc a call today! When you hire our team, you can trust that we will complete your job in a timely and efficient manner. You will be in the loop every step of the way. We promise never to leave you guessing what comes next! Call now!